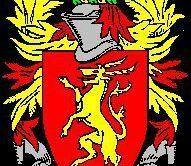 Last Friday (28th July 2017) saw Leyland Band travel to Austria in order to perform at the prestigious Innsbrucker Promenadenkonzerte series. 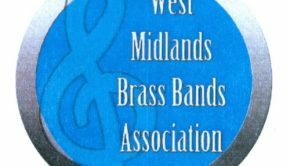 Following a successful performance at this festival in 2015 where the band was the first British brass band to perform there, Leyland Band were invited back with the organiser, Alois Schöpf, working towards the goal of making the concert series Europe’s leading brass music festival. With 33 concerts taking place between 3rd-30th July, Leyland followed tradition by beginning their set standing in Innsbruck square to attract the crowds into the courtyard of the Imperial Palace where the formal concert began. Organiser Schöpf estimated that there was an audience of over 1,500 people in attendance on the night, where the crowd was treated to an extensive set of themed music with over 25 items performed. Particularly rousing ovations were given to virtuosic solos performed by Iain Culross, James McLeod, John Doyle, Chris Doran and Ben Thomas. Many of the audience would have been lucky to be able to see the stage, as Leyland Band packed out a courtyard full of people to enjoy their performance as part of the Innsbrucker Promenadenkonzerte series. Speaking to organiser Alois Schöpf after the concert who described the festival as one which is ‘becoming Europe’s leading brass music festival’, it was estimated that there was at least 1,500 people in attendance as the sun set over the courtyard of the Imperial Palace. 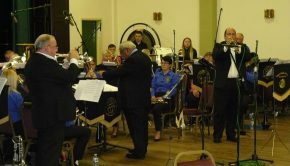 Leyland Band, known for entertaining concerts, had been invited back following their debut performance in 2015 where they were the first British brass band to perform at this concert series. In keeping with tradition, Leyland began their set in Innsbruck square where rousing music such as ‘Death or Glory’ helped to attract people into the courtyard where the formal concert began. The audience were listening attentively and laughing along with Musical Director Thomas Wyss who addressed them in their native tongue. An epic, the programme consisted of over 25 items divided into themes with four encores performed as the crowd simply would not leave. The audience were particularly receptive towards the virtuosity of Leyland’s leading soloists. Iain Culross opened soloist proceedings with a whirlwind rendition of ‘Carnival of Venice’, which was rivalled by a technical masterclass from James McLeod performing Monti’s ‘Czardas’. As the programme progressed, lighter music allowed the setting to become more relaxed to enjoy the beautiful surroundings. John Doyle switched between Flugelhorn and Trumpet in order to deliver an outstanding rendition of ‘People’, dedicated to his wife Rebecca Doyle, Solo Horn, with the concert falling on their wedding anniversary. This solo had previously been performed by Maurice Murphy with the Leyland Band in a bygone era. Eb Tuba Chris Doran and Percussionist Ben Thomas also had the audience foot tapping to features in ‘The Sun Has Got His Hat On’ and ‘Ol’ Man River’.